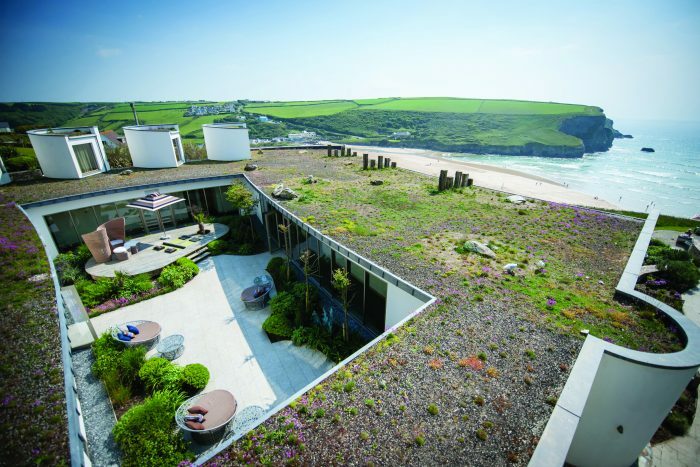 The Perfect Escape – We visit the Scarlet Hotel at Mawgan Porth. 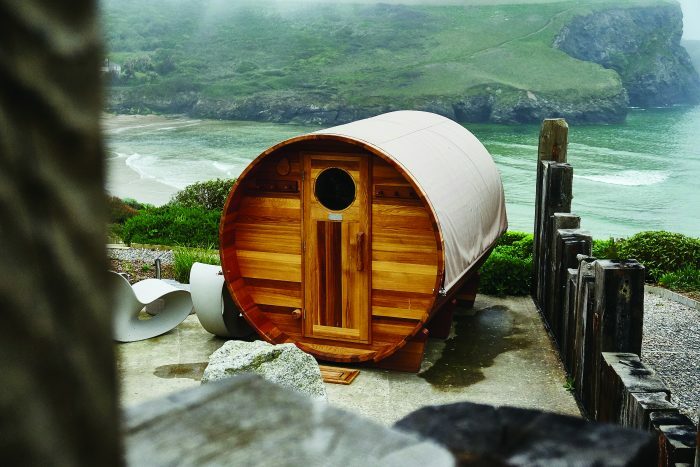 Rohrs and Rowe > Aspirational Living > Blog > The Perfect Escape – We visit the Scarlet Hotel at Mawgan Porth. Imagine views of cliff, sea and sky at every moment, light airy spaces designed to connect you to the outdoors. It’s hard to describe the unique atmosphere of the Scarlet. 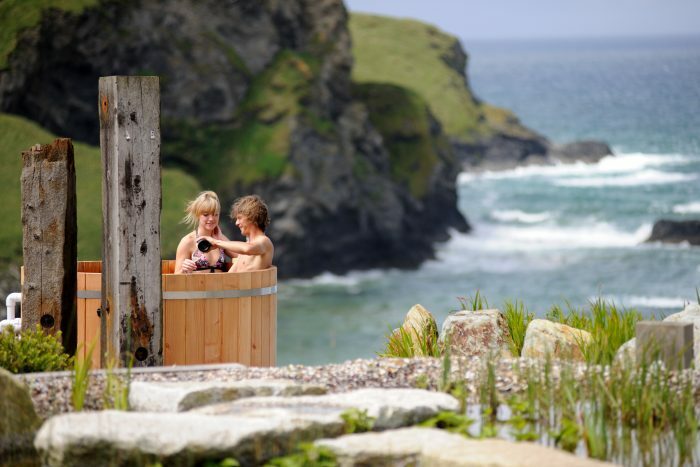 Think of being cared for like you would be in the house of a friend, with many spaces to unwind, from meadow gardens to cliff top hot tubs, an Ayurvedic inspired spa, relaxation lounges, fireside, poolside, we pay a visit to the Scarlet Hotel in Mawgan Porth, Cornwall. 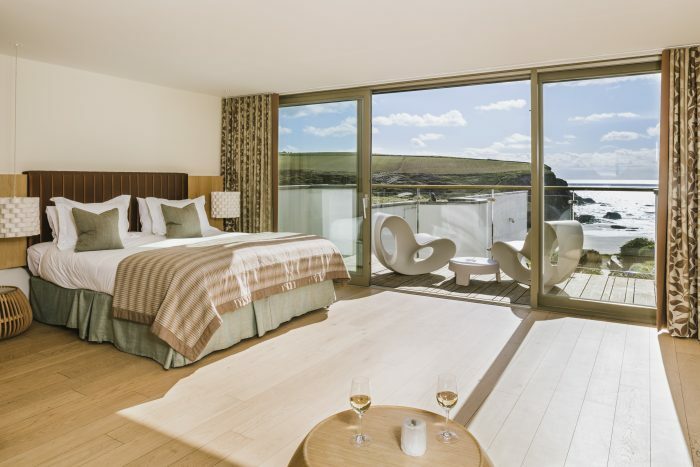 Perched on the cliff tops overlooking the rugged Cornish coastline, the luxurious Scarlet Hotel is quickly becoming one of Cornwall’s most sought after stays. With a grown-up only policy in place; comfort, calm and relaxation are at the heart of this hotel and guests who have been lucky enough to experience an escape here have left wanting more. 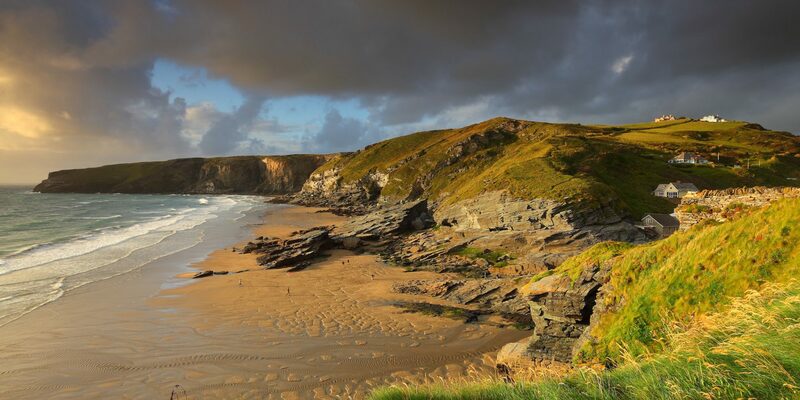 Driving down the windy road towards the hotel, the sea views that greet you on arrival give a taste of what’s to come. Opened by three sisters eight years ago, The Scarlet has amassed rave reviews and gained quite the reputation. 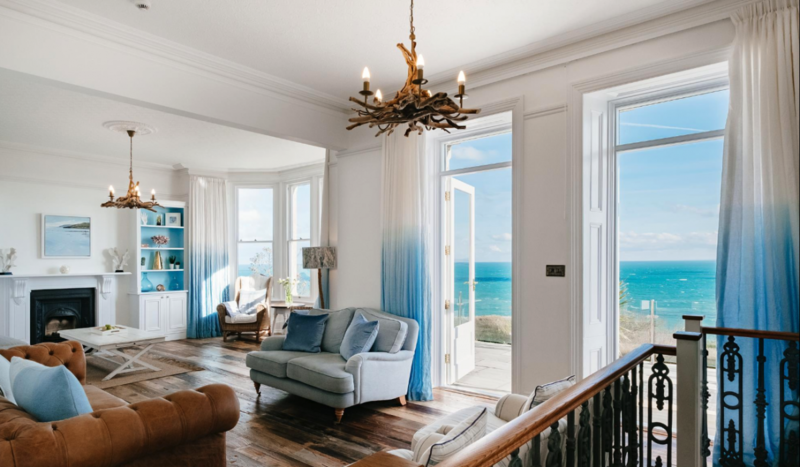 Travel experts across the UK have given their seal of approval, voted one of the top 20 hotels in the UK by Condé Nast readers and star reviews from the likes of The Telegraph and Mr & Mrs Smith. Stepping into the Scarlet is like pressing pause on the bustle of every day, tailored to prioritise the recharging of guests’ batteries. Redefining luxury, the eco-friendly hotel has a total of 37 bedrooms which makes it feel intimate, exclusive and extra-special to have coveted a room for the weekend. The limited number of bedrooms and reputation that now precedes it means that booking a room isn’t always a simple task, so booking in advance is essential. As you arrive one of the first things that’s noticeable is the lack of reception desk, intended to ensure guests feel attended to but without the usual formalities of check in. Instead your directed to a set of sofas which sets the precedent for the rest of your stay. Making your way out to the roof terrace for a celebratory drink to mark the start of your stay, the breath-taking scene that greets you is a hard one to beat and feels a million miles from busy city living. 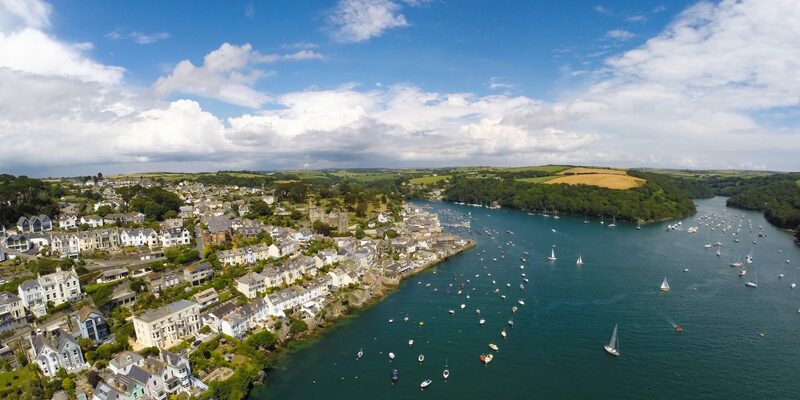 Where land meets sea, it’s not hard to see why Cornwall is consistently tipped as one of the best spots for a staycation. Sleekly styled, a great level of attention to detail has been paid to every element of The Scarlet. Being situated within such natural beauty, the team is on a mission to enhance their surroundings, live sustainably with a ‘Cherish the World’ ethos. 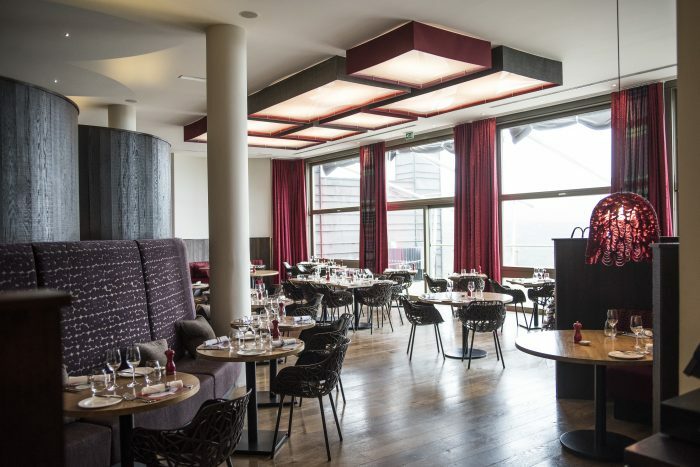 The restaurant is a fine example of this approach, with menus crafted by Head Chef Mike Francis. 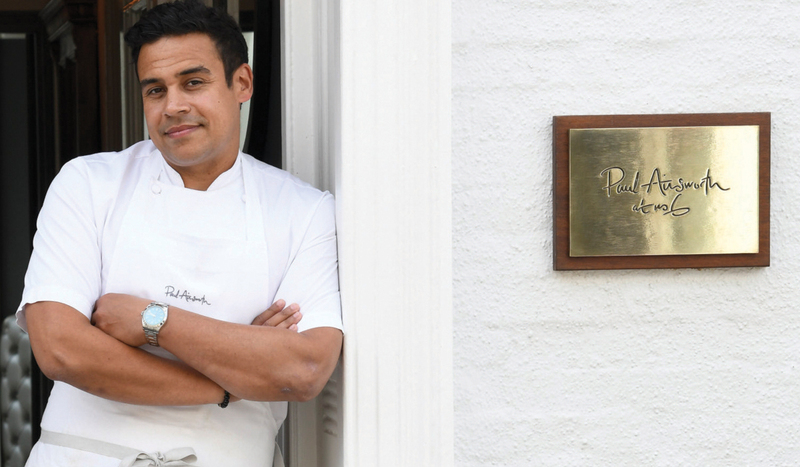 With a career cooking at Michelin star establishments, he has been with the team since 2010, working his way up from chef de partie to senior sous chef, being made head chef two years ago. Serving fresh, locally sourced food, menus change each day – meaning you don’t feel the need to venture further afield than the restaurant for delicious dining over the weekend. Working with local fishermen and farmers to source the best ingredients, you’ll be spoilt for choice for breakfast, lunch and dinner. 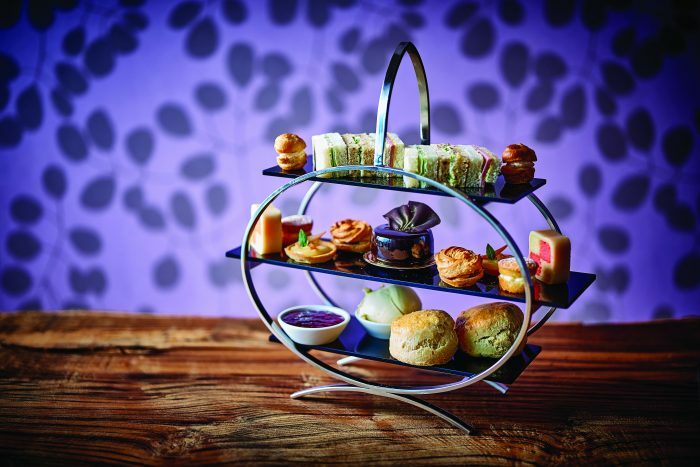 It’s highly recommended to leave enough room for a spot of leisurely afternoon tea during your retreat. 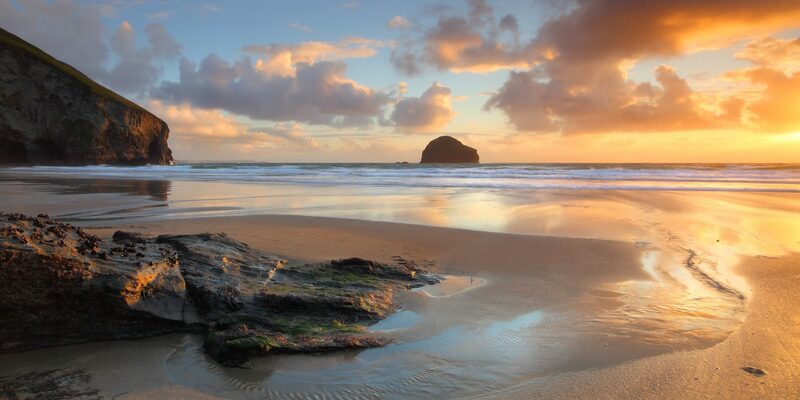 A treasured Cornish tradition, you can enjoy the handmade to order selection of cakes, pastries and sandwiches on artisan bread in the tranquillity of the sea view restaurant or outside on the terrace. As with all elements of The Scarlet, if it can be sourced locally and sustainably it almost certainly will be – with the tea from the local Tregothnan estate – the only tea grown in the UK. After a long and lazy breakfast, we head to the spa which offers another slice of zen. 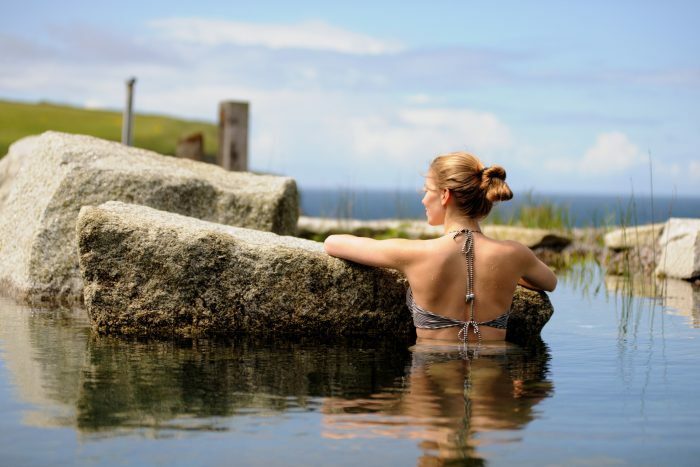 With a timetable of classes for those who want to reconnect and give themselves some extra self-care, the indoor and outdoor pools mean you can swim whilst gazing out at the horizon, whatever the weather. For an extra dose of relaxation, head to the aptly named Relaxation Room to soak up the stillness. The Scarlet is a very special place, simply superb in every aspect, as you pack up and head home feeling refreshed one thing is for sure – This is one place you’ll want to return.